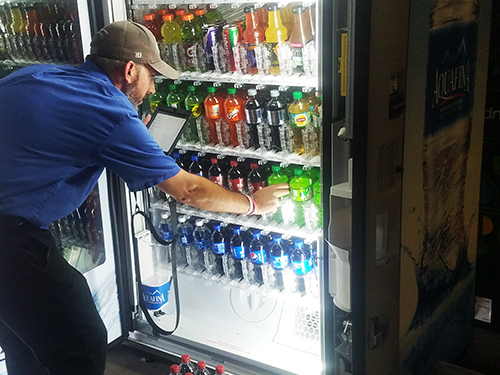 Take A Break Vending is committed to providing the best service in the industry, bar none. Because of our investment in technology, we are able to remotely monitor the status of our machines. What does remote monitoring mean for you? Remote monitoring helps us ensure the highest level of service and response times by being proactive with our equipment maintenance. We are able to see mechanical issues, as well as stocking levels, so that we can address both routine maintenance as well as any occasional issues right away. However, we recognize that there may be times when you have a special need or request, or you may wish to confirm we are “on the way.” Our customer service team is available 24 hours per day, 7 days per week. We provide continuous coverage so that your team always has fully stocked, well-functioning equipment.